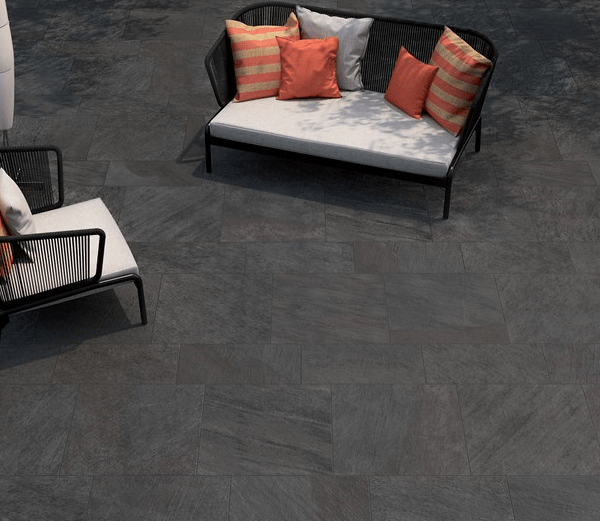 Percorsi Quartz Black is an Italian produced external porcelain paver. 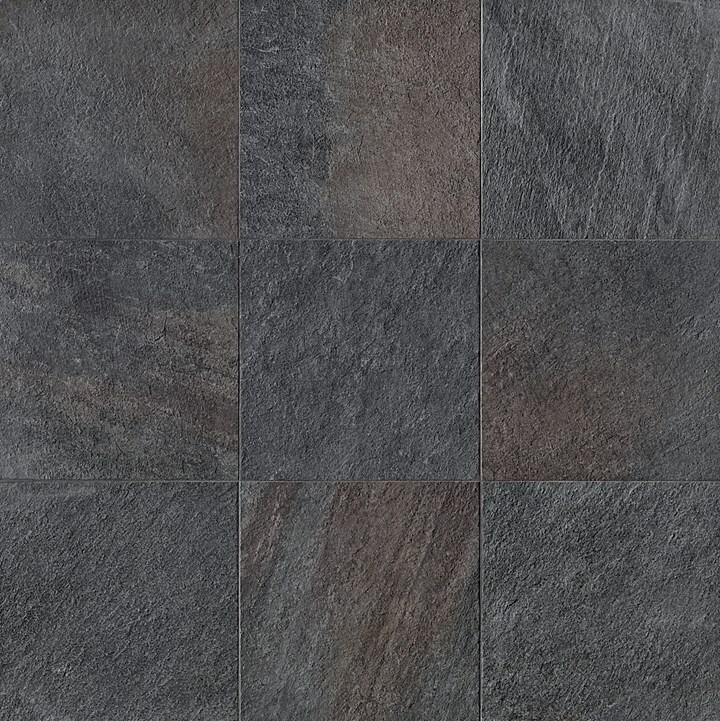 It is black and grey in colouring with the occasional brown shade running throughout. The shading makes the Percorsi Black look as natural as possible. With a R11 surface producing an anti-slip effect on the paver, it is very suitable for all external purposes.